Tales of the Legion of Super-Heroes in "Colossal Boy's One Man War!" The Legion tries to regroup after Computo has killed one of Triplicate Girl's bodies. The Legion eliminates Computo by using anti-matter. Triplicate girl becomes Duo Damsel. An untitled Super Turtle strip. Superboy in "Superboy's Moonlight Spell!" 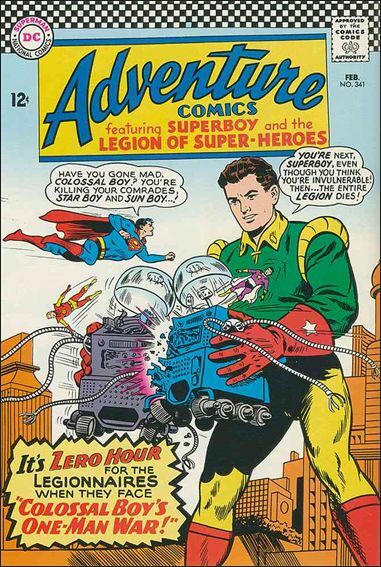 reprinted from Superboy (Vol 1) #65. A gas created by Superboy, temporarily turns him evil.